Jeff Campbell, Battle Mountain High School’s best football player of all time — and arguably the school’s greatest athlete ever — will be inducted into the Colorado High School Activities Association Hall of Fame Jan. 25 of next year in Denver. Campbell was a standout running back and kick returner who helped lead the Huskies to the 2A state championship game, where he came up just short on a two-point conversion attempt that would have won Battle Mountain the title in 1986. Consider that the Huskies suffered through six winless seasons before Campbell and his teammates turned the program around. Campbell’s stellar high school career included a 300-plus-yard running game against Meeker. “Soupy” went on to star at the University of Colorado, where a 60-yard kick return for a touchdown in 1990 helped spark the first Buffs’ win over Nebraska in 26 years. That return to respectability resulted in CU winning the national championship the year after Campbell had left for the National Football League, where he played four years for the Detroit Lions and a final fifth year for his home-state Denver Broncos. 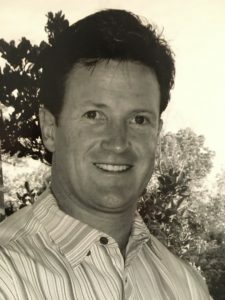 A great hockey player and skier who grew up in the Vail Valley, Campbell improbably wound up scoring four career touchdowns during a longer-than-average stint in the NFL. His high school exploits were before my time in the Vail Valley, and I first interviewed him by phone when he was already in the NFL and I was the sports editor of the Vail Daily in 1991. Always gracious and an all-around good guy, Campbell was a pleasure to talk to and seemed truly grateful for his athletic opportunities. Unfortunately, the last time he made the local paper was a sad occasion. Campbell was on hand and spoke at halftime of Battle Mountain’s homecoming game last year, honoring his friend and quarterback, former Huskies great Scott Ward, who died in a freak car accident in North Carolina last year soon after he retired from the U.S. Air Force as a combat veteran and former pilot of Air Force One. For me, Campbell will always be associated with winning football. He helped turn around the Huskies, who dominated as a running team for years after his departure when I first started covering them in 1991. And his run at CU was part of the Coach Bill McCartney championship era that resonates today with the Buffs’ return to relevance. Larry Farmer, another longtime winner who was well before my time at Manual High School, will also go into the CHSAA HOF early next year. Farmer, a fellow Manual grad, won three NCAA national basketball championships under legendary UCLA coach John Wooden and went on to coach for many years at the college and pro level. After my sophomore year at Denver’s George Washington High School (best known for NBA star Chauncey Billups, who was after my time), I spent my junior and senior years at Manual, where Farmer was one of several hoops heroes who went on to star in college and the pros. Kudos to both Campbell and Farmer, as well as the entire CHSAA Hall of Fame Class of 2016.